I think my blog does a pretty good job of documenting my training and my races. Hopefully, it does at least an adequate job of showing how Matt has helped me along the way. He was nothing short of perfect during the weekend that I ran my first marathon, being totally flexible and supportive no matter how high-strung I got. 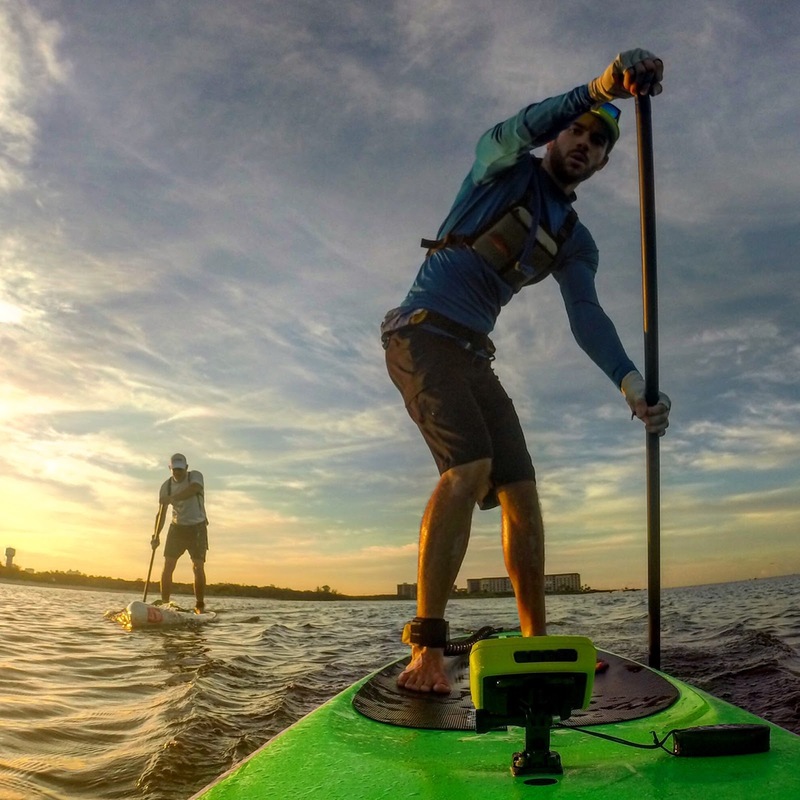 Matt's 31-mile SUP race is finally this weekend. (The actual distance is closer to 33 depending on the route and curves of the river.) 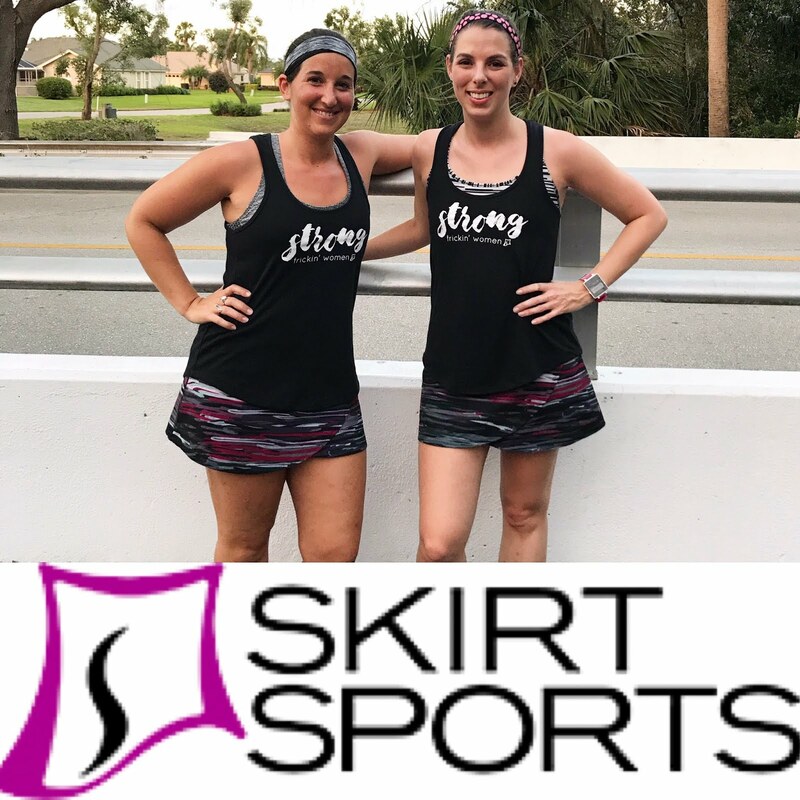 He's been training for months, building stamina and speed through shorter races, interval training, and long paddles...It's been very much like marathon training! 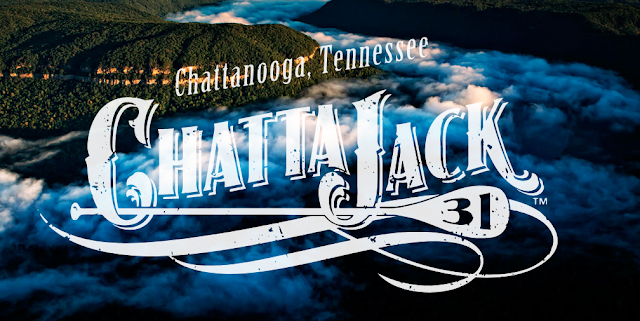 When he first heard of Chattajack, Matt knew immediately he'd want to participate. When registration opened this year, he jumped right on it. Matt has gotten very techie as he's tackled longer training paddles. The Speed Coach on his board tracks his speed, distance, stroke rate, and heart rate; it communicates wirelessly via the heart rate monitor he wears on his arm. He also mounts a Go Pro on his board to document his training. Unlike running plans, apparently training plans for long SUP races are hard to find. Matt found himself researching and coming up with little; luckily, his teammate Mark found a plan and shared it, and from that point on in training, they've been diligent. 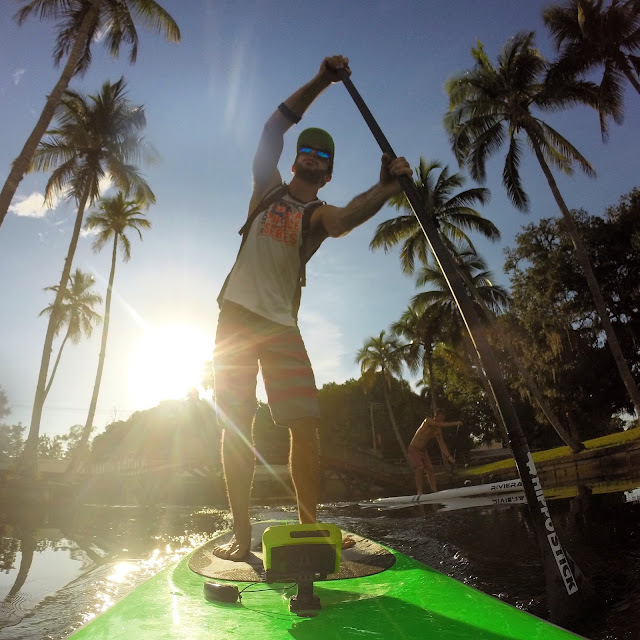 I truly think Matt's better cut out for endurance events than I am; while I often lose sight of my big picture and burn out on training, Matt never misses a workout and seems to enjoy paddling every time he's out there, no matter what. And he's really good about cross-training. Matt and Mark on a training paddle. This race is going to be a totally new experience for us both. I've never spectated a race of this distance, and following Matt along a 31-mile river is going to prove difficult at times. Matt's longest paddle in training was 16 or 17 miles, so he'll be pushing well beyond that on race day. 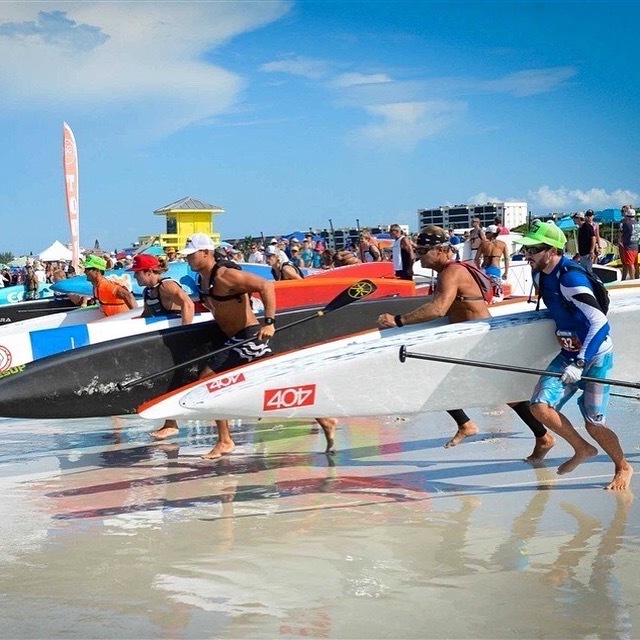 Land-based starts for SUP races mean that racers run into the water, mount their boards, and paddle away. Matt (in the neon green hat toward the front) competing in a SUP tri - he ran a 5k, then paddled a 5k. He opted out of the swim haha. Some races begin on land, and some in the water. Chattajack starts in the water under a bridge. All the racers will have to line up as close to the start line as possible, and the beginning is always really rocky as all the racers begin to paddle at once in closer proximity. I always expect someone to fall! Once the race continues, they begin to spread out and get some personal space. 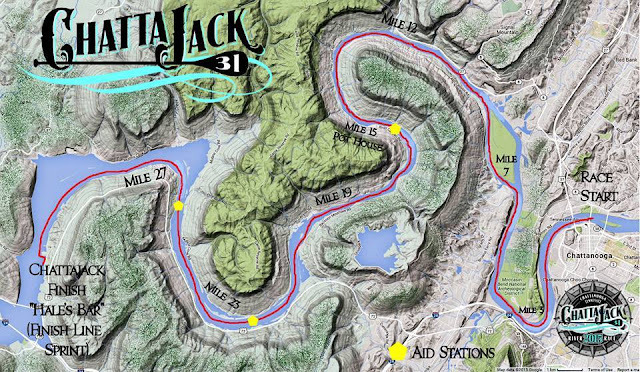 Then, especially at Chattajack, they turn on their wireless speakers docked on their boards and enjoy the race! ^An in-water start at one of Matt's races. A photo of a previous year's start at Chattajack. Logistically, leaving for this race means I'll be completing my long run this week on Thursday morning before we hit the road. I'm okay with that; being flexible and making sacrifices and adjustments is only fair given how wonderful Matt has always been regarding my goal races. I'm hoping to be the best crew I can be to truly pay him back and show him how much I've appreciated all his support. And of course, I'm proud of him! Even if by nature I'm not nearly as easy-going as Matt, I'm really aiming make this weekend all about him and this amazing accomplishment. Needless to say, he's really excited; his bucket list race is finally here! Have you ever crewed for someone at a big race? Send Matt and his teammates some good vibes! How cool! Man we've done recreational SUP here in SD just for fun when people are visiting...The thought of doing that for 31 miles is making my arms and legs hurt haha Good Luck Matt! Yeah, I couldn't imagine doing 33 miles AT ALL. These paddlers are BEAST. Oh soooo many questions! About how long will a 31 mile race take? I watched that video of Matt- do they paddle that fast the whole time? It looks very tiring! This is great that you get to support Matt this weekend and make it all about him! I think you and Matt are a lot like Paul and I... Paul is way more easy going than me, that is for sure! Can't wait to hear all about Matt's race!! The race cutoff is 8.5 hours. Paddlers finished between 5 and 8 hours for the most part. They do paddle fast the whole time, but they also draft each other and take some breaks when necessary. They may sprint to catch a draft train, especially after pausing for fuel. GOOD LUCK MATT! 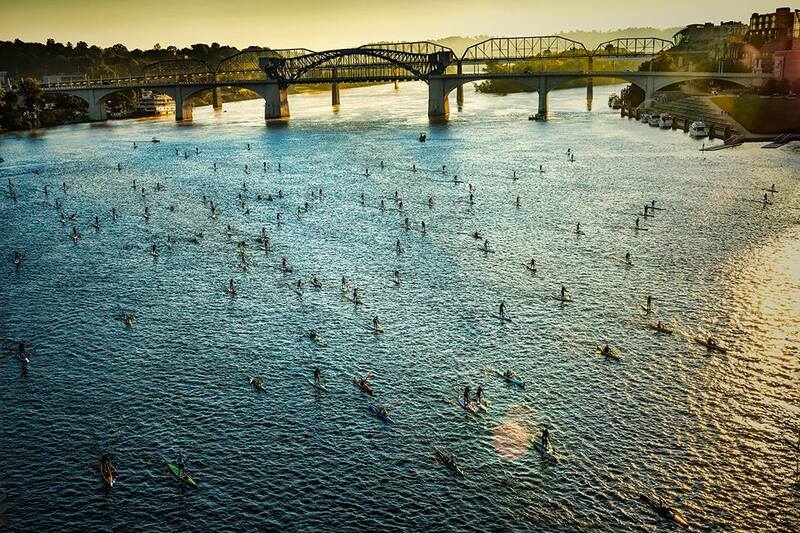 I had no idea there was such a thing as a 31 mile SUP race, that sounds so incredible intense! In the video Matt is paddling so fast. My back kind of hurts just looking at it, haha. Enjoy your weekend in TN! I hope you both will have so much fun! Yeah, I keep such a leisurely speed when I paddle. I have no idea how he does it! Good luck to him (and to you on your long run)! I hope all goes well. Yeah, this was a good chance for me to see how big SUP is as well! His goal was 7-8 hours, but as you'll see in the recap, he totally destroyed it! 7 hours??? Holy moly! I hope you do a follow up blog on his race...I have so many questions. How does he fuel? How often do they stop? Do they stop? How do you follow him? How does he prepare his body for a beating (sorry Matt) like that? Good luck to both you....you on your run...and Matt on his race!!! I'm working on the recap for him now. He carries Honeystingers and waffles, wears a hydration pack, etc, for fueling. He didn't stop fully at all, but some people do stop and take rests. There are aid station boats out on the water for them, too. I had to follow him along the roads and try to catch him on shore. It was tricky! He trained like we train for marathons...speed work and long paddles to prepare! This race looks so much fun! 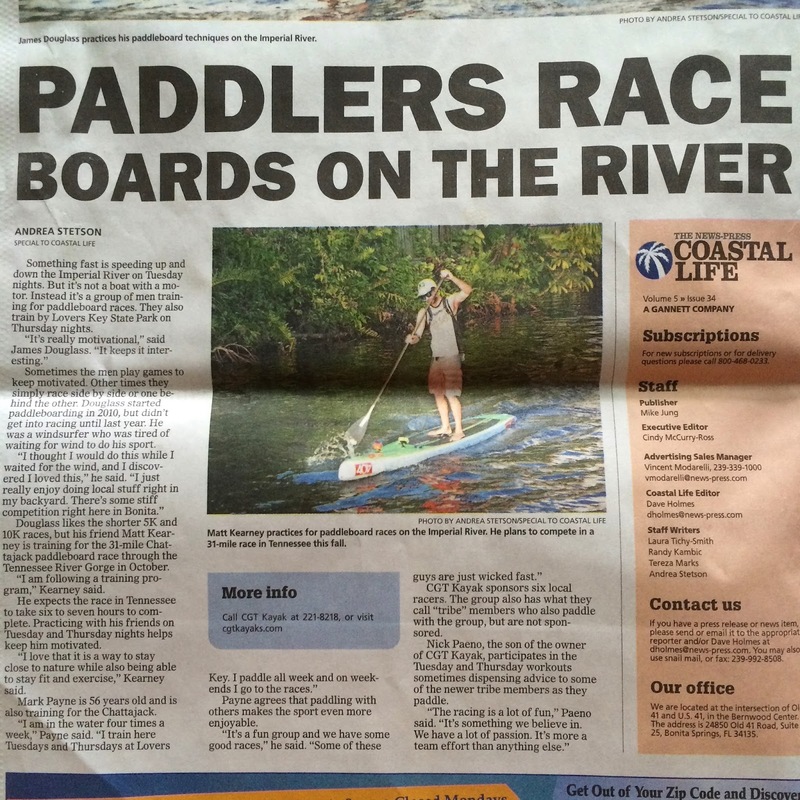 I didn't even know they had SUP races. I hope he did well and I wanna hear all about it! I feel like my husband is better suited for endurance events as well, but he kinda hates running. He's done a few adventure races and has rocked them. I feel like Matt might like adventure races...but only if he had some friends to do them with!